Mind Body Soul Food is an inspirational integrative health blog that promotes living a better life through holistic, natural and spiritual practices. This blog fuses practical information with ancient wisdom learned through a career as a fitness professional, yogi and world traveler. This blog reveals the best of human movement, mindset, spiritual development and healthy eating. ​It's the stuff that you don't read in mainstream media because of branding conflicts. Mind Body Spirit Food also educates the world on the benefits of plant-based eating, how to make vegan recipes and recognizes companies, restaurants and centers who focus on plant-based/whole food meals. Many people believe that eating, feeling and looking good are challenging concepts and only achievable for a certain population. What you'll discover on MBSF is that when you become in-tune with your physiology and situate your emotions, your body is a powerful metabolic being who's spirit is ready to explode and shine to the world. The work we do in our inner world reflects the situations in our outer world. Keep reading to discover new topics and concepts as we dive deep into the human experience. Have a healthy day. Elizabeth Rae Kovar M.A. is an award winning and international fitness trainer, yogi, author, ACE & BOSU Master Trainer, Adjunct Instructor and Reiki Master. 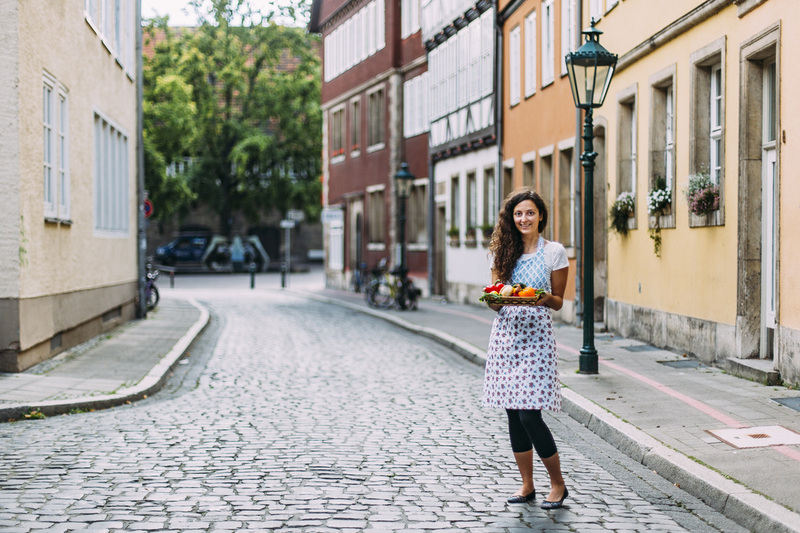 Kovar has lived abroad four times (Australia twice, India & Germany) and uses the world as her teacher to educate people about healthy living. In 2014, she earned title as one of Shape.com's "50 Hottest Female Trainers in America" and named PFP Media's "Personal Trainer of the Month" - November 2016. In addition to her exercise science knowledge, Elizabeth is a metaphysical mystic at heart. After her yoga studies in India, she studied Christianity, Reiki, Buddhist meditation in Thailand, vedic astrology, numerology and undergone past life regression hypnotherapy. In October 2015, Kovar released her first book while living in Germany, a travel memoir, called, "Finding Om: An Indian Journey of Rickshaws, Chai, Chapatis and Gurus." Finding Om is a journey on how a young woman improves her life and health through travel & yoga. The book starts in Australia where the true transformation began. Once Elizabeth moved back to Ohio she fell ill from reverse culture shock and stress. Lost and confused, she needed to travel and became the first co-recipient of BGSU's Stuart R. Givens Fellowship. Elizabeth proposed to backpack and study yoga in India, solo. She hopped on a plane with one red backpack, three-thousand dollars and a bagful of questions to endure the most beautiful and chaotic experience of her life. Throughout my existence, I experienced my fair share of diet, exercise and body image issues. In this present existence, I have been fortunate to live abroad four times - India, Germany and twice in Australia. Throughout these journeys, I embarked life as a local and analyzed how the world eats, lives and thinks. What I discovered are that many cultures are deeply connected to nature, consume whole foods and prioritize their work-life balance. My spiritual journey began in 2005 when I lived in the Gold Coast in Australia. Surfing, sun, sand, sea and me were the notions to my existence. The ocean forever changed my life and every tear that I shed on the beach and off my surfboard would be recycled into the waves that ebbed and flowed into this idea called life. I also had a wonder with words. Curious to explore the depths of the ocean, and my mind, writing exposed the love I felt from the sun, the moon, the stars and the milkyway. The southern hemisphere forever changed my life. During my time in Australia, I began a yoga practice. And there too I revealed my inner world, balling like baby while lying in savasana. This further led me to study yoga in South India in 2007. These stories and tales are compiled in my first memoir, "Finding Om: An Indian Journey of Rickshaws, Chai, Chapattis and Gurus." Drugged by the travel bug, I moved back to the Gold Coast, Australia in 2008. I worked for the Pat Cash International Tennis Academy & then lived in the Yoga for Daily Life Ashram in Brisbane. These experiences occurred during my early twenties while in college, and because of that, I knew the soul, or spirit, played a major factor in our well-being. I worked at a vegan cafe and health food store as one of my college jobs. While expanding my horizons in fitness, learning about holistic health dominated my mind while in college. In my late twenties, I began to pitch, query and email fitness publications to further educate the public and other fitness professionals about the importance of spirituality and breathing. For years, my queries were not accepted "because science can not prove it" or "concepts are too New-Agey." Sadden, I thought, "How is sitting in a quiet space and breathing new agey?" At times I lost confidence to voice these opinions and my abilities as a writer. I felt ashamed and "stupid" for pitching such "dumb" ideas. During this time, my beliefs continued to evolve while personal training clients. While living in Seattle, nature became my "gym" and I continued to advance my soul. I personal trained people with a logical and rational approach (while hinting at alternative topics), working people out until they were "blue in the face" (not literally but metaphorically) and listened to their life spiral out of control. Their problems were as intense as their workouts. I felt many people were stuck in the hamster wheel running a million miles per hour all day, everyday while restricting their biological need to eat real food. I could see that these people needed to replenish their soul. Fast-forwarding sometime, I lived in Hannover, Germany for 15 months in 2014-2015. This country and the tough German spirit strengthened my soul and gave me the confidence to voice my experience and opinions. This blog is to encourage those to live a better life and to live as the greatest versions of themselves. These are the stories, opinions and tales that need to be told that no other mainstream publication will print. Extreme diets and long hours on the elliptical are no longer needed when you choose yourself - your soul - the inner-being that is your highest self. Welcome to Mind Body Soul Food - I wish you a pleasant journey in your life. 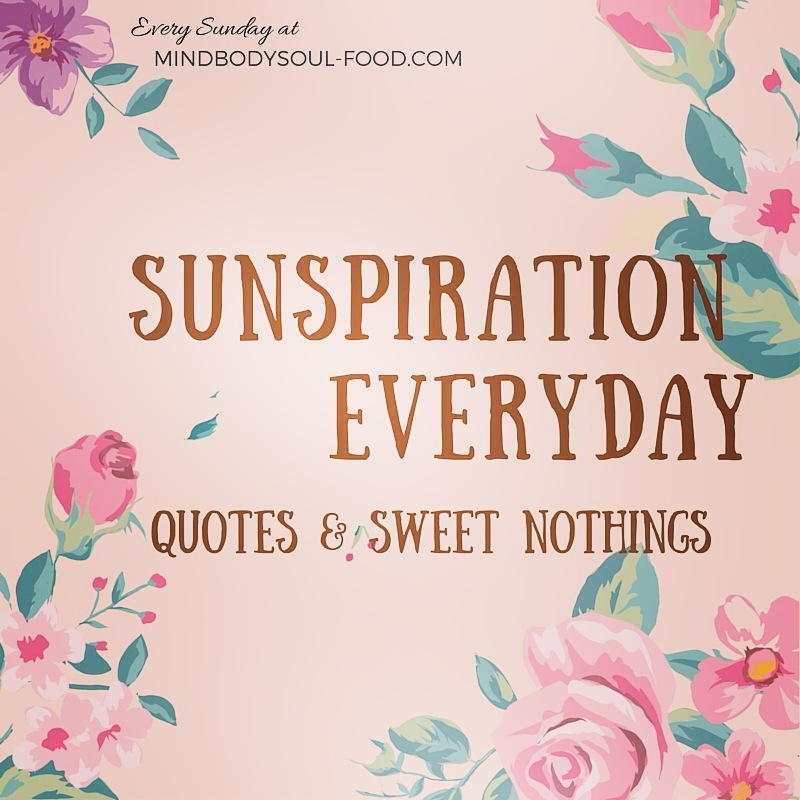 Elizabeth is also the creator of Sunspiration, a place for inspiration every Sunday in 150 words or less, available on the blog.